Few faces in the world of professional bass fishing are as familiar as that of, Shaw Grigsby. Thanks to both a highly successful 40-plus-year B.A.S.S. tournament career and the 20-year run of his popular television show, One More Cast With Shaw Grigsby, you’d be hard-pressed to find a more well-known (and well-liked) personality than the amiable Floridian. Grigsby’s career is about more than longevity and TV recognition: the upcoming 2017 Bassmaster Classic on Lake Conroe, Texas, will be his 16th (the 15th-most among all-time Classic competitors). He’s made three Classic Top 10s, and has been identified as a threat on Conroe because of the later-than-usual time of this year’s Classic. Below, the veteran tournament anglers talks about his career and how he feels about his odds come March 24 on Lake Conroe. 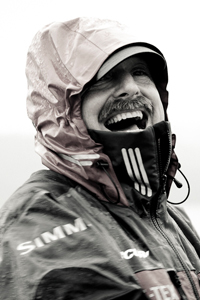 SIMMS You’re currently prepping for your 16th Classic, something that’s covered 31 years of your life dating back to your first Classic in 1986. 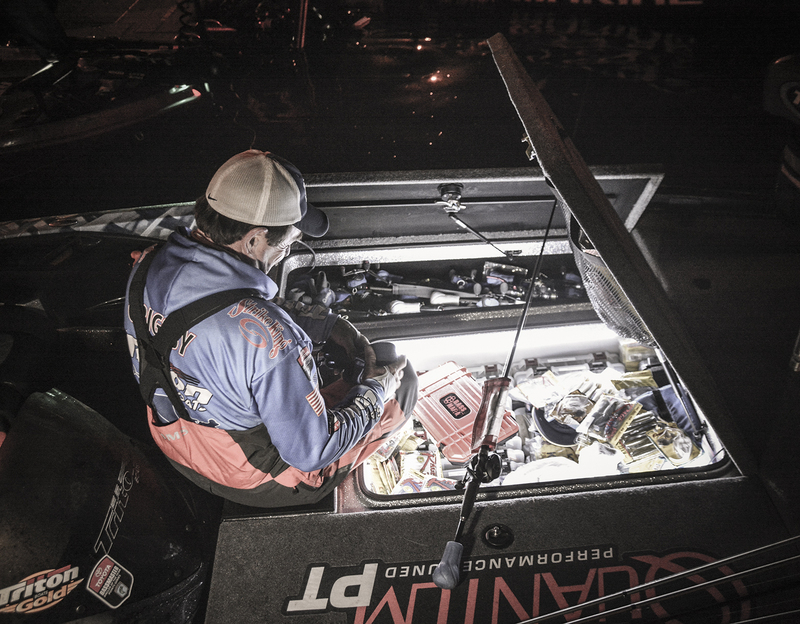 How well do you remember your preparation for that first Classic on Lake Chickamauga in Tennessee? Grigsby: [Laughing] Wow, 31 years, that sure sounds like a long time, doesn’t it? I remember that first experience well. I was just starting out, and was honored to simply make the Classic. Back before that event, I had a young man from Gainesville, Florida write me a letter telling me that he was a big fan, and that his uncle lived in Chattanooga. I invited that young man to come practice with me, and he actually came out that week and fished with me. They didn’t have all these rigorous practice rules like they do now. He was 13 years old then, and still a great, great friend of mine. Really, things have changed dramatically in 31 years, though. SIMMS: Give me an example. Was the tournament run differently back then? Were there different rules, etc.? Grigsby: Back then, they limited the amount of tackle you were aloud to have onboard. You were allowed one tackle box, and they weighed it – you couldn’t have more than 10 pounds of tackle. They also put a limit on the number of rods and reels you could have on the boat. I remember getting ready to go up to have my tackle weighed, and man, I was sweating it. I had to weigh and weigh and weigh my box – I’m a Florida guy, we use a lot of plastics, and those weigh a lot. I remember sitting next to George Cochrane, who actually won the Classic the next year on the Ohio River, and he had nothing but a handful of crankbaits. That’s all he fished that whole tournament. SIMMS: Do you think/feel different about this coming Classic compared to how you felt about that first one back in ’86? Grigsby: When you’re a first-timer, you think you’re going to just make it again and again and again. You don’t think too much about the possibility of not making it. Looking at my numbers, I’m about a 50-percent guy. I haven’t made the last three Classics, so this one is pretty meaningful to me. The bottom line is, when you’re getting older and realize ‘I may not make it back again’, it takes on a different meaning. At Conroe, I truly plan to cherish it and enjoy every minute of it. SIMMS: You finished second at Logan Martin in 1993. Did you feel like you had a chance to win that one? Grigsby: David Fritts had a pretty strong lead going into the final day on that one, so I knew I’d have to catch something pretty special to make up the weight differential. He ended up catching one of his big fish right where I stopped fishing one of those days. Literally, right where I had pulled my trolling motor and moved somewhere else. That whole tournament, I was thinking ‘Man, if I could catch just one big kicker, I’ll be right in the game.’ I never did, but it was still pretty cool to finish second. SIMMS: You had a period where you had three Top 10s in four Classics. That’s pretty impressive. Were there any contributing factors to that hot streak? Grigsby: If you look at people and their careers, you’ll notice that it takes a little time for a guy to figure everything out, and to work into his prime. That usually happens in your late 30s/early 40s, which is about how old I was during that time I was consistently doing well. See, I really didn’t get started in this program until I was 28 – back then, it’s not like it is now where you have kids competing in high-school clubs and college programs. I was a late arriver. I started filming One More Cast in 1996, which obviously changed things. It made it a bit tougher to manage a TV show and stay on top of the tournament game. It just causes your focus to change. SIMMS: How much experience do you have on Lake Conroe? Grigsby: Not much. 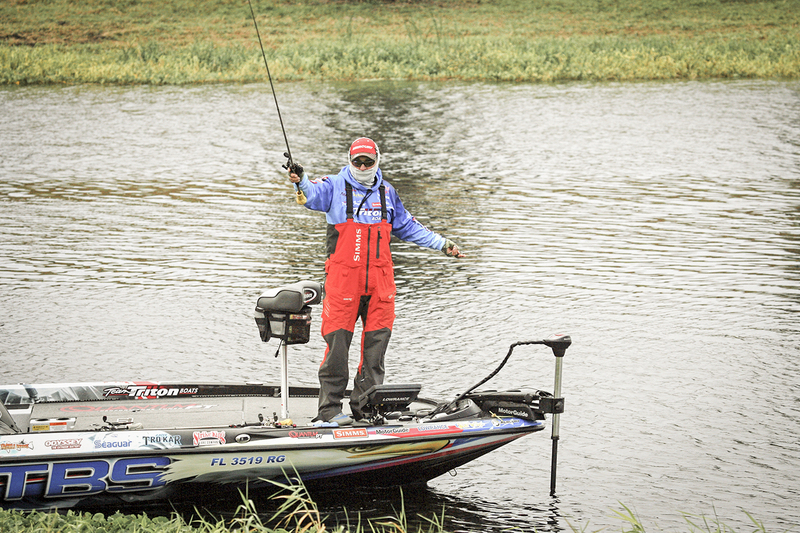 I fished one Toyota Texas Bass Classic there – I caught a ton of fish, but I don’t remember having a gigantic finish. We did a PR thing back in the 1980s as well, but that’s about the extent of my experience on Conroe. I went there and practiced for four days or so, mostly just spending time on the water figuring out what I’d be hoping to do come tournament time. SIMMS: Do you like Lake Conroe, and the timing of the Classic? Grigsby: The best aspect of this Classic is that it’s more of a springtime tournament. It’s probably disappointing to some people that we had such a warm winter in the South, meaning Conroe’s fish are probably going to be to be more toward the end of the spawn rather than just starting. But it’s still exciting that it’s spring; hopefully those fish will remain shallow. SIMMS: Step outside your body and pretend you’re somebody else. Analyze how Shaw Grigsby should do at the 2017 Classic. Grigsby: Well, I’d say that Shaw’s strengths are shallow, and that if he can find some fish to sight fish, he’ll do pretty well. The spring time aspect really opens the Classic up to guys like Shaw who like to fish shallow. I think it’s going to be a really good tournament, and that we’re going to see some really, really nice fish at the scales — I like Shaw’s chances. Topic(s) Bass Fishing, Bassmaster Classic, Shaw Grigsby by John Frazier. Bookmark the permalink.